The Toddler Cutlery sets we spotted at Kids in Style a few weeks ago have landed in stores. 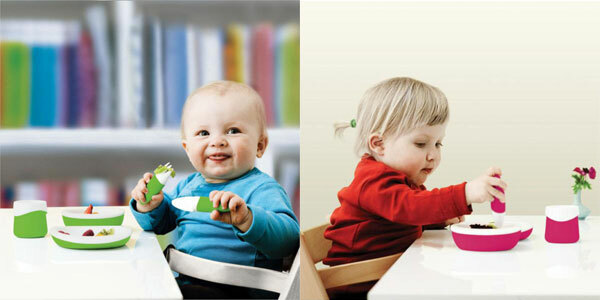 The design of the Toddler Table cutlery is derived from the distinct way a small child grasps objects. The three-piece sets can be used for babies from six months onwards. If only my girls were smaller, I’d certainly buy a couple of these. The Toddler cutlery is cleverly designed, being round and chubby to fill up the palm of the hands of little ones. This makes it easier for the child to control it until their motor coordination fully develops. The set comes with a knife, fork and spoon in Blue, Lime, Orange or my favourite, Raspberry. Now available direct from Red Chilli Designs for $50.